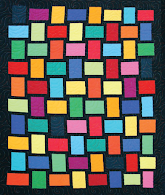 Marty Mason is a fiber artist who creates original art quilts and thread paintings, along with a selection of classic quilts. 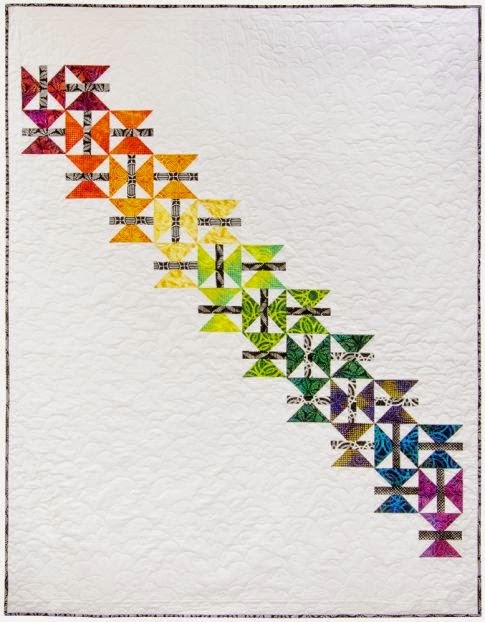 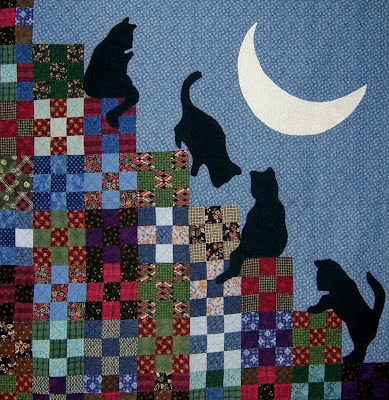 Her striking "Stairway To Cat Heaven" is a beautiful rendition of the popular quilt which first appeared in 1997 (links to the pattern can be found at the bottom of this post.) 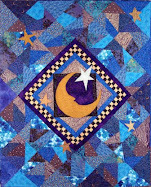 The quilt shown above has been sold, but you can read about it on Marty Mason's blog, where you can also see Kitty Cat Charm. 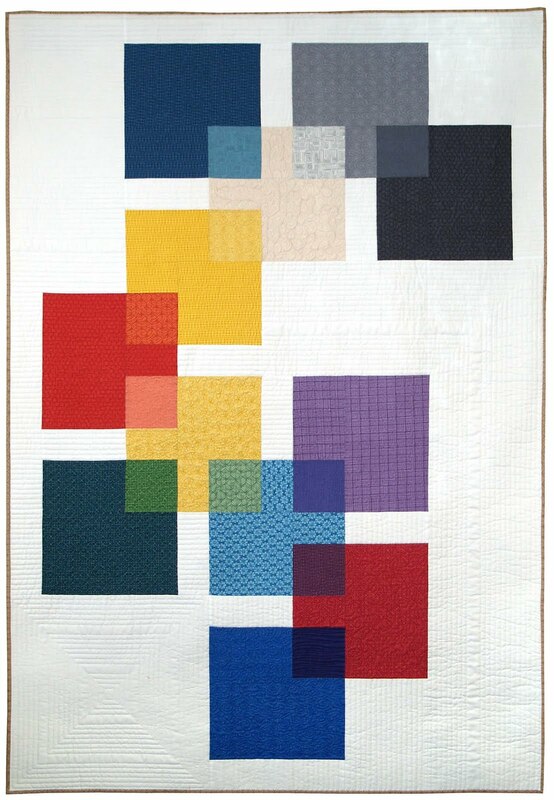 Marty Mason's original fiber art works can be found at Marty's Fiber Musings on Etsy, including one of our favorites, the abstract art quilt known as Architect's Dream #2. 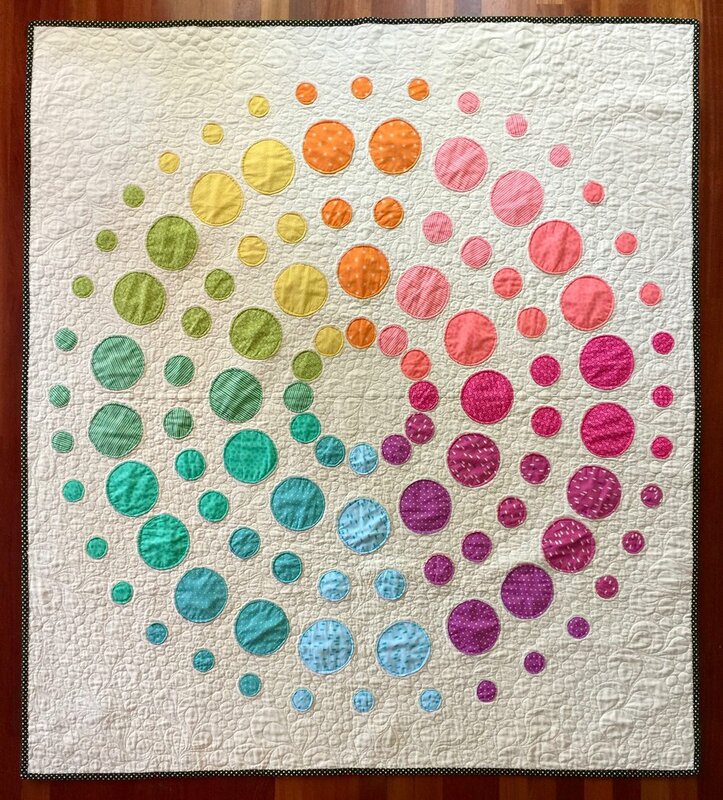 We can't help but mention that we are smitten with Marty's original thread paintings of pretty ladies in smart hats; check out her fabulous recent works ! 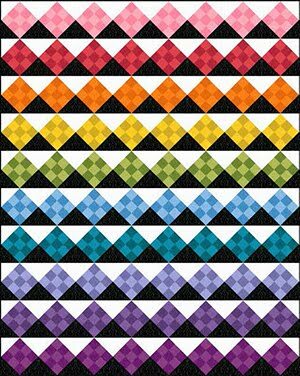 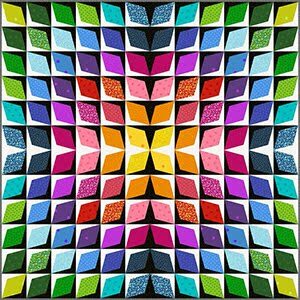 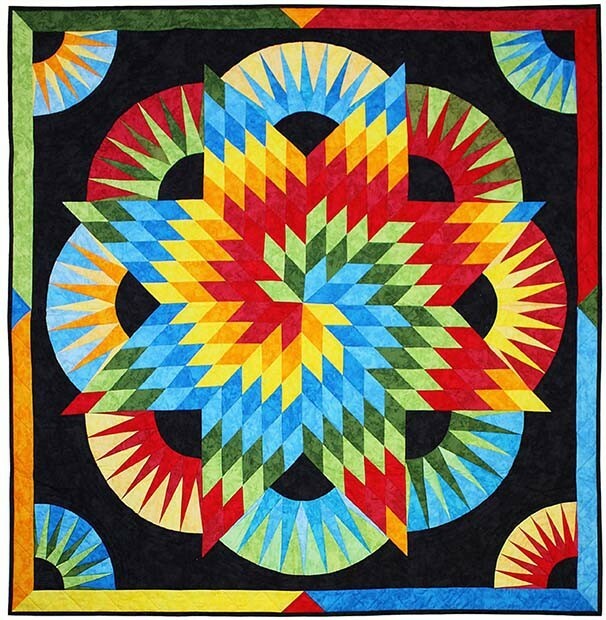 Cynthia England is an internationally known quilting instructor and pattern designer, who is best known for the stunning quilts she makes with Picture Piecing. 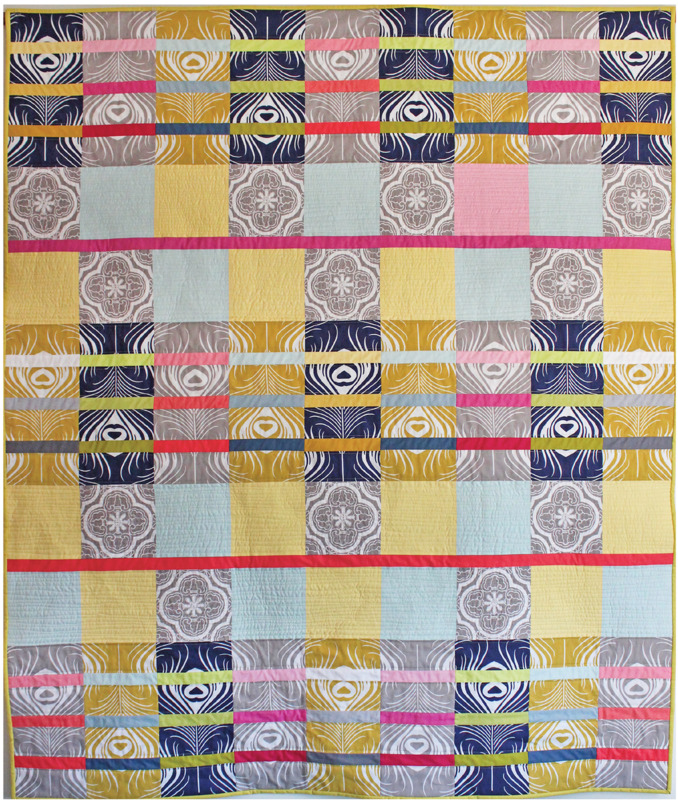 Cynthia's innovative technique breaks the design down into pieces that can be sewn using straight seams. 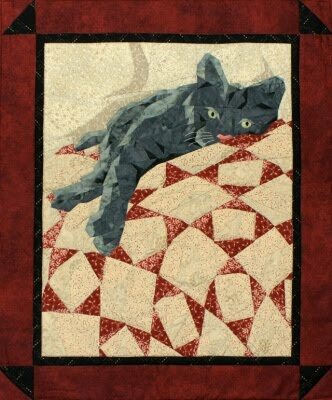 Her elegant Cat Nap quilt pattern, above, is one of our favorites: it features a serene gray cat reclining on a red-and-ivory quilt. 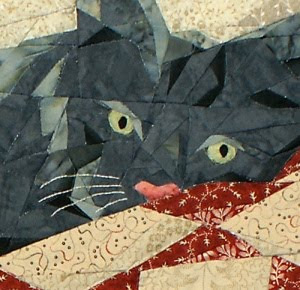 You have only to look at the amazing detail of the cat's face, shown below, to appreciate the piecework. 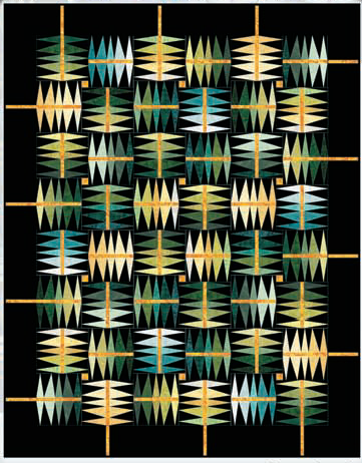 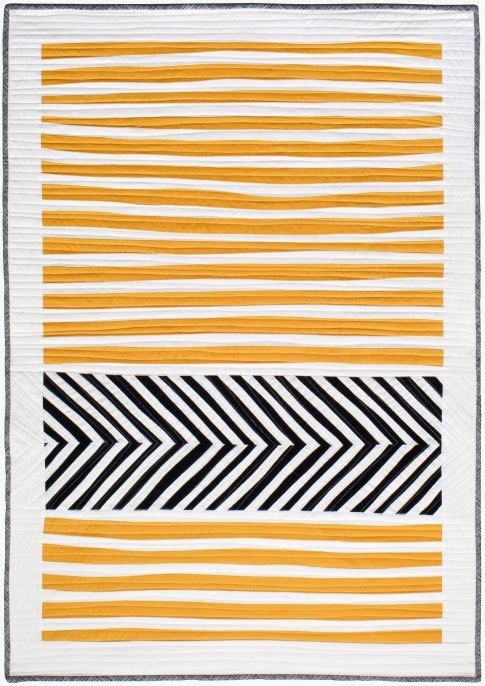 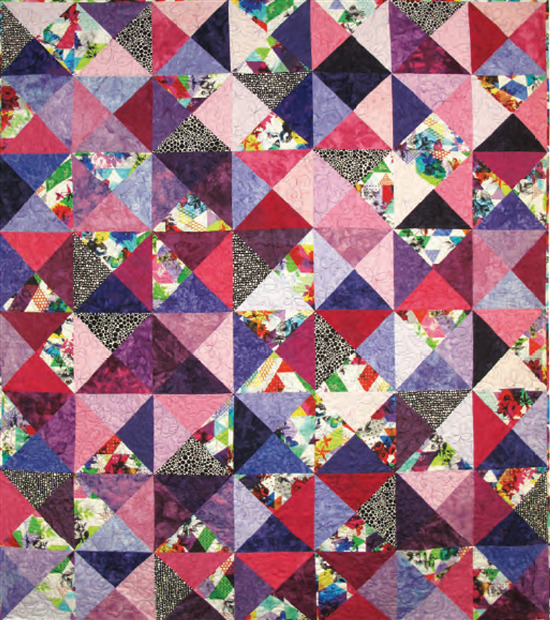 Cynthia England's most recognized art quilt, Piece and Quiet, was chosen as one of the "The Twentieth Century's Best American Quilts" in 2000. 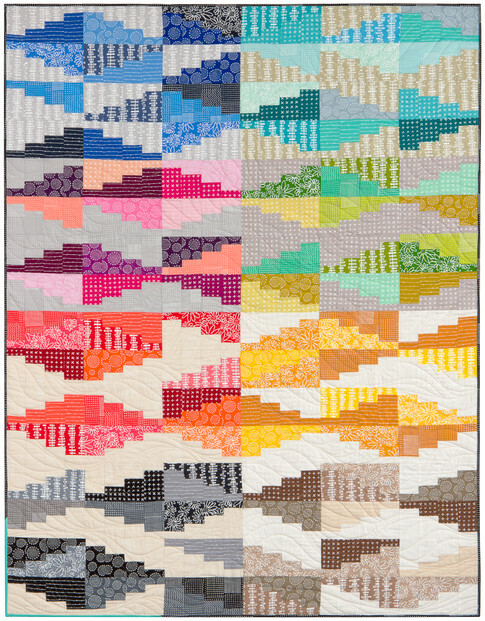 Piece and Quiet has over 8000 pieces and it is so realistic that it appears to be a photograph! 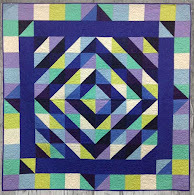 Don't be intimidated, though: Cynthia has made her techniques easy to learn with a book and with free videos, and two free patterns so that quilters can try the technique. Also check out Quilter's Kitty, and the many gorgeous patterns in Cynthia England's landscape and nature galleries. 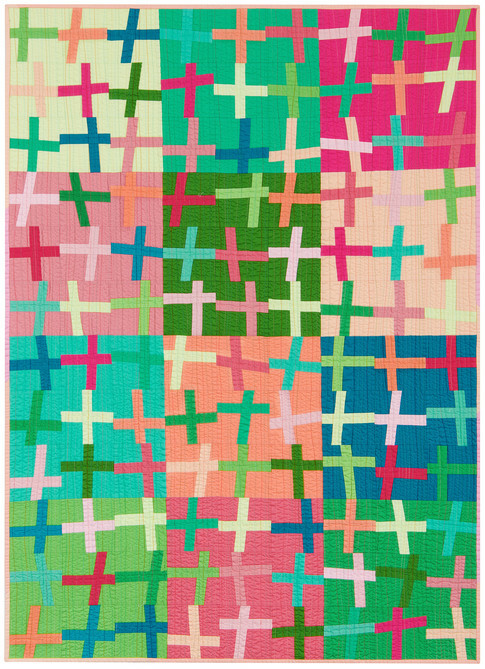 Jane Spolar's quilts and fabrics exemplify her distinctive, lyrical style. 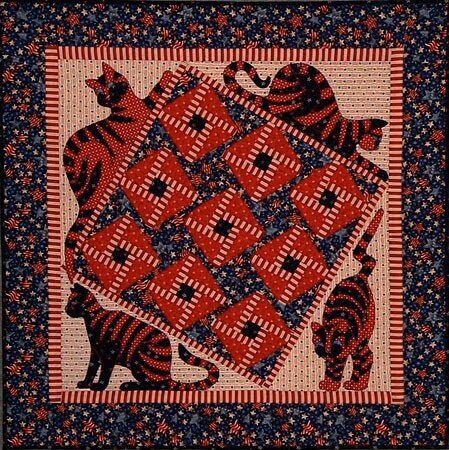 Porcelain Cat dreams the dream of life and chasing, naps and frolic, flowers, a garden, and a friendly lap. 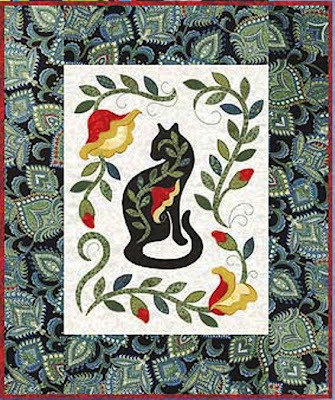 Another lovely cat quilt, Contented, bears the description: "Contented as a cat in the flowers". 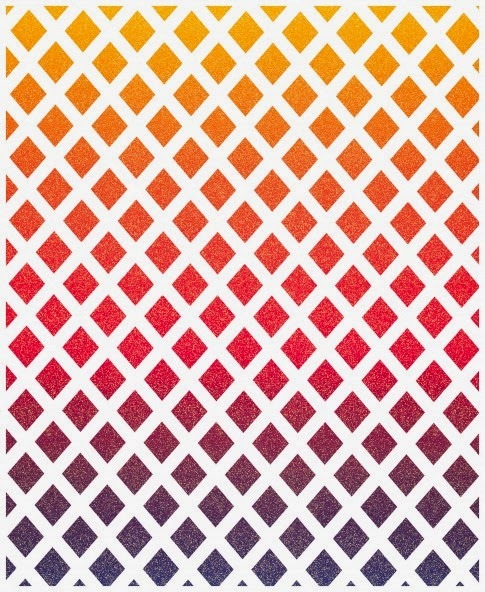 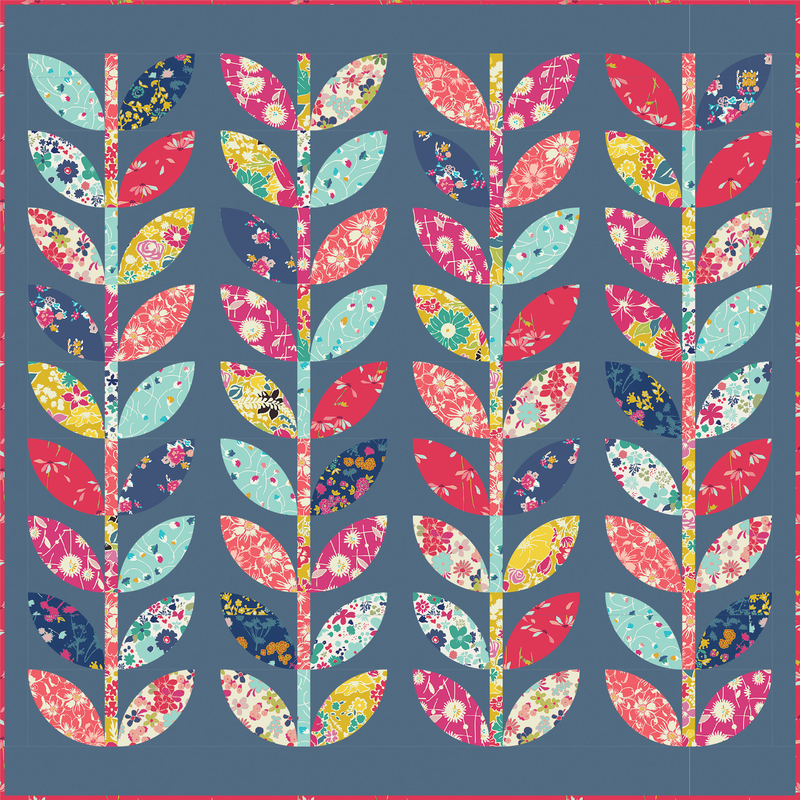 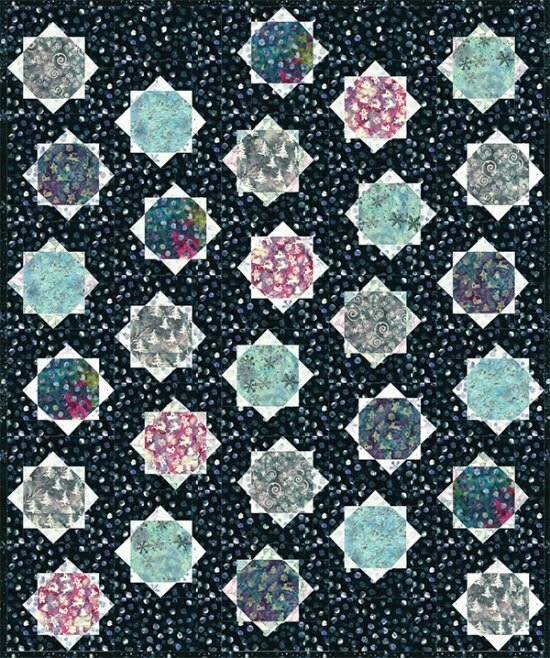 Also, if you are seeking bliss, take a look at Bliss, Jane Spolar's luscious fabric line for Northcott Silk. 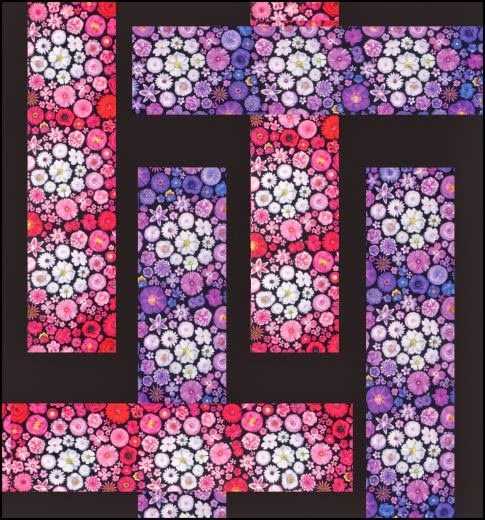 Since taking up the art of quilting in 1989, Ruth Powers has gained national recognition for her award-winning quilts. 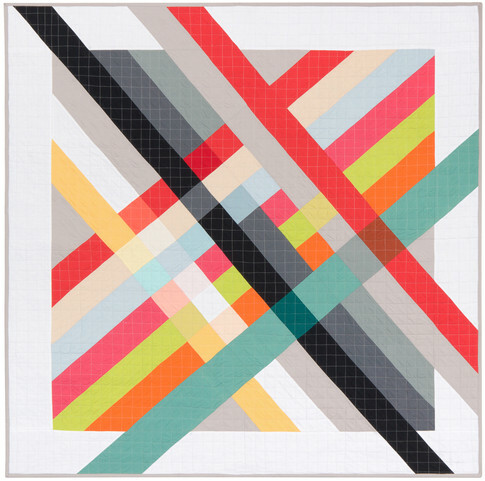 Her works hang in private collections from coast to coast. 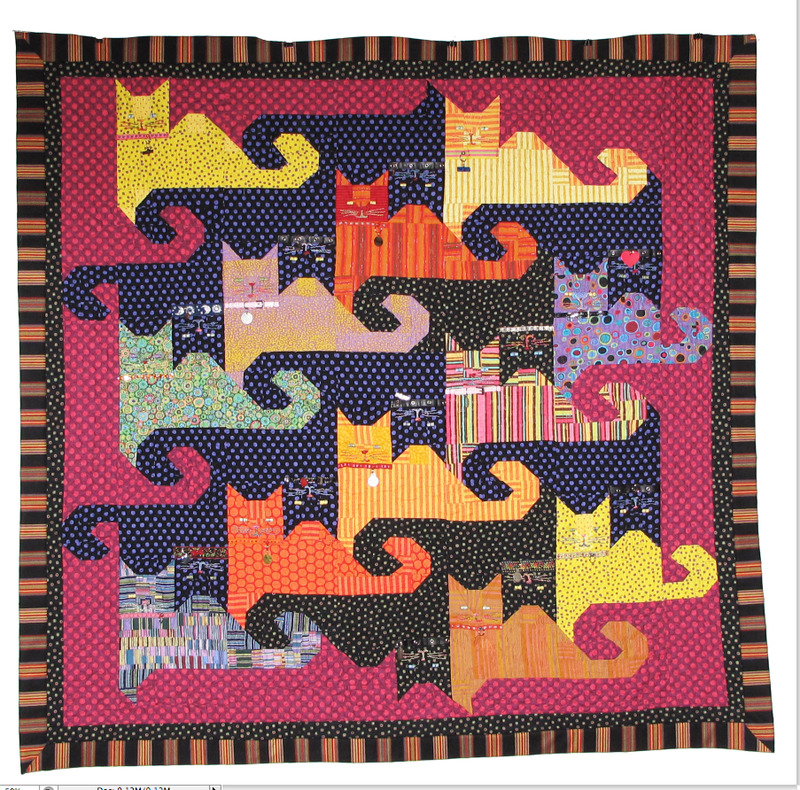 "Kitty Corner Cats" is another classic, with its combination of playful cats and "catty-wampus pieced blocks". 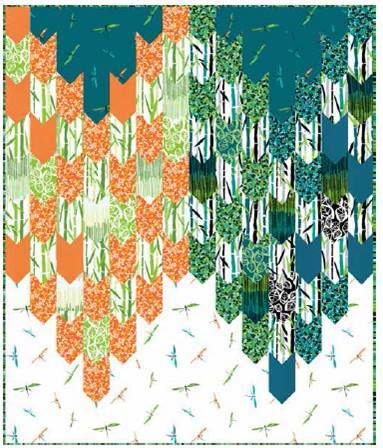 (What an apt description... cattywampus really sums it up !) 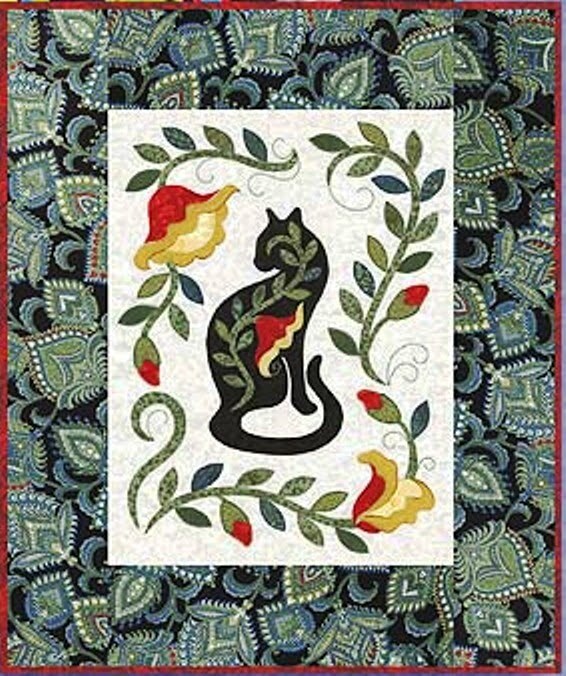 The pattern can be obtained on the Kitty Corner Cats page; also you can browse Fat Cat Dreaming, and Ruth Powers' many other inspiring patterns and recent works. 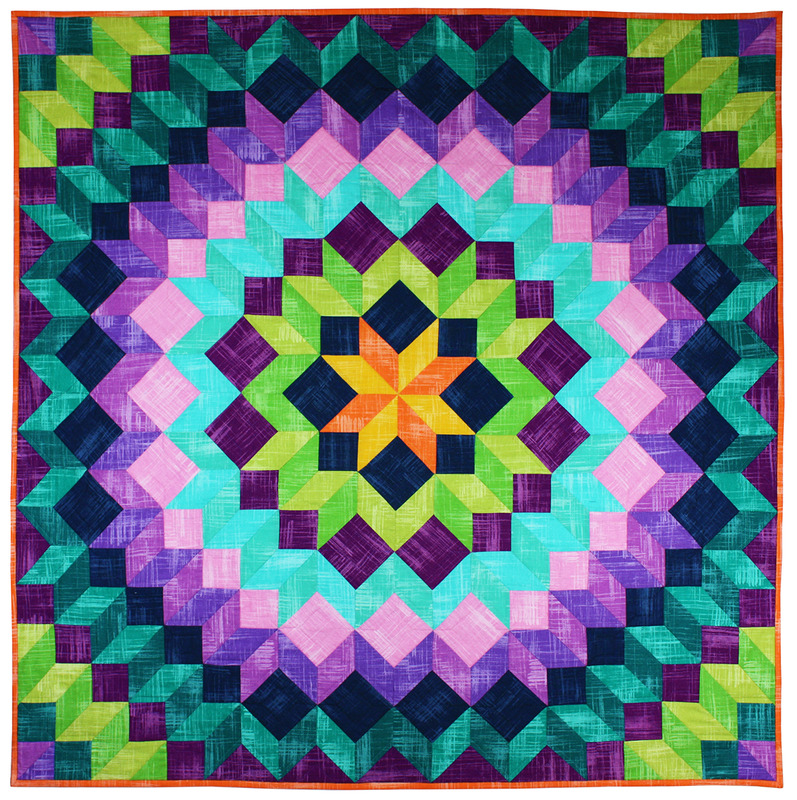 Helene Knott is a designer and teacher whose quilts have received worldwide acclaim. 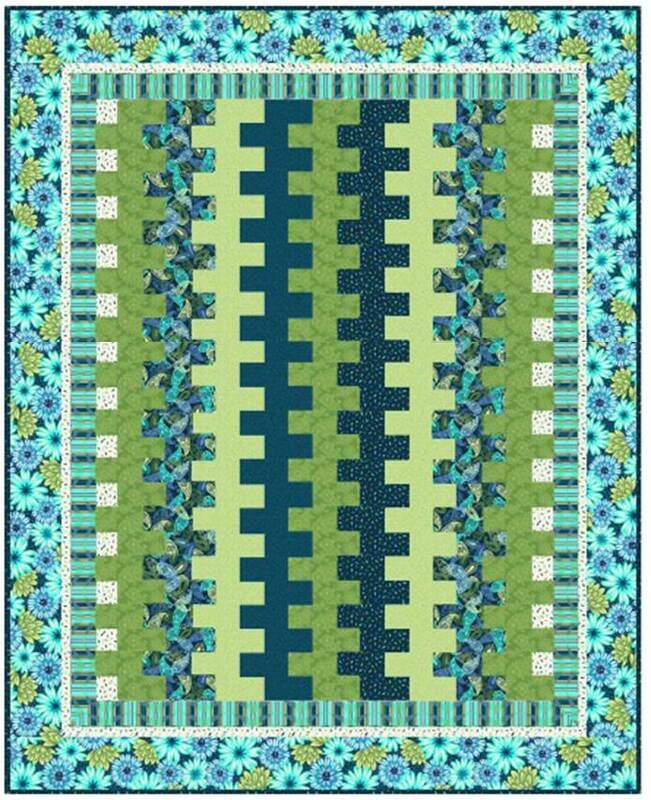 We adore her stylish Garden Patch Cats, and are showing six of our favorites: Pumpkat, Gourdo Gato, Eggplant Purr-mesan, Boscat, Walla Walla Kitty, and Kitt'ney Bean. 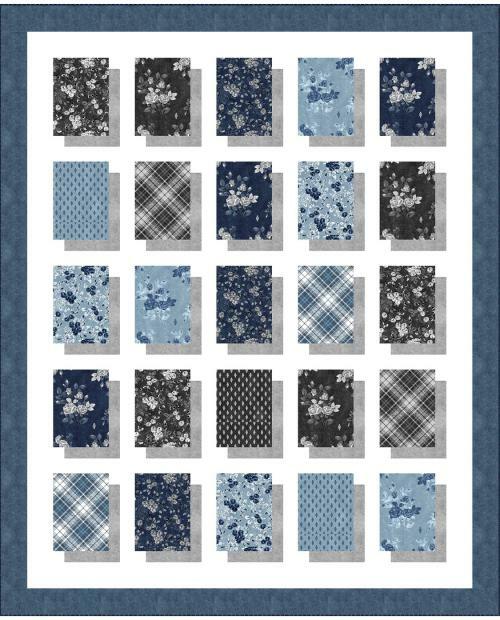 A total of fourteen cats are available as of this writing, and Helene reportedly has drawings for many more ! 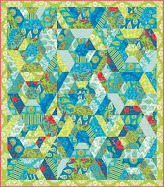 StoryQuilts also carries Helene's marvelous Postcards from Japan and other designs. 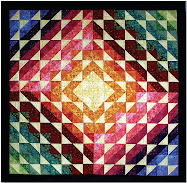 Helene's brochure includes all of her workshops, along with images of many of her spectacular quilts. 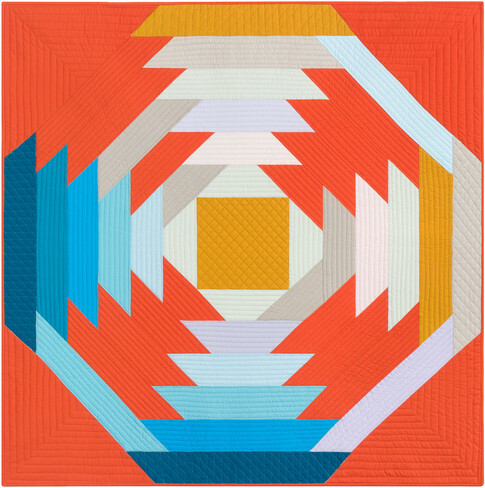 Janet Miller has been quilting since she was 12 years old; her many bestselling designs can be found at The City Stitcher, which she founded. 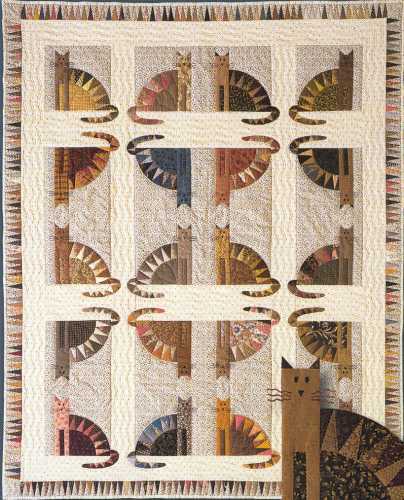 The charming "Sawtooth Cats" is one of our favorite pieced cat quilts. The curved backs and tails of the cats, and the borders, are made with paper foundation piecing in a sawtooth pattern. 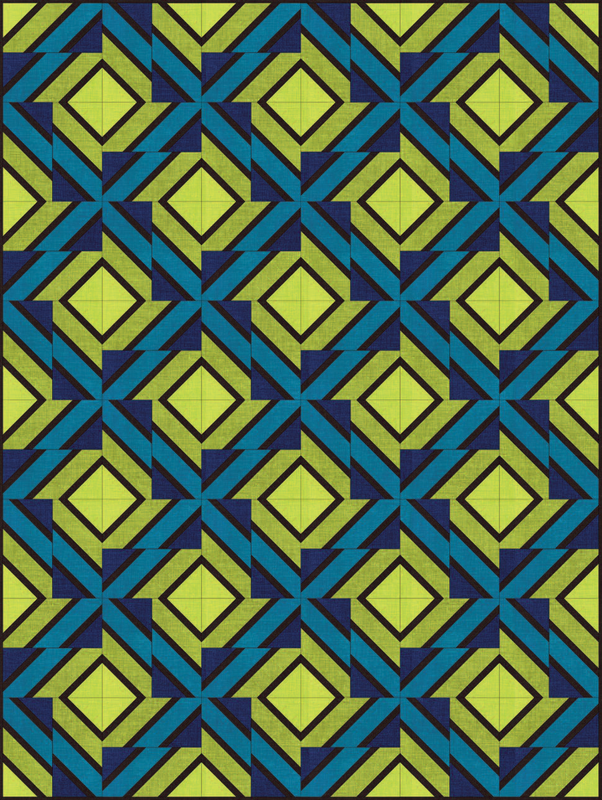 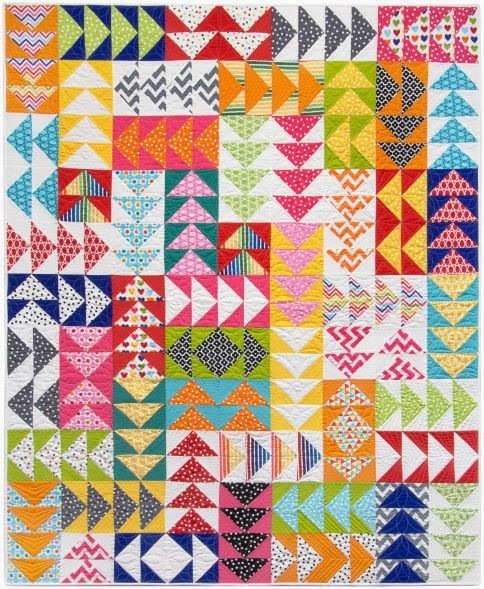 This quilt is perfect for scrap fabrics. 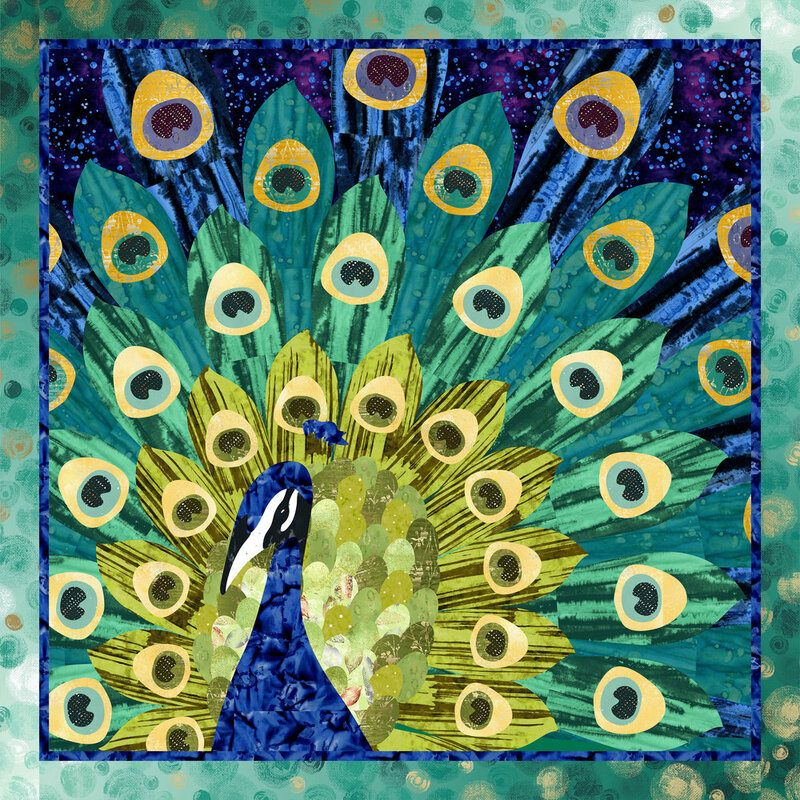 Dawn Navarro Ericson is an artist and illustrator, whose original designs include the very clever Copy Cat Quilts. 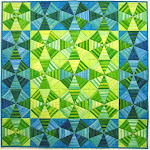 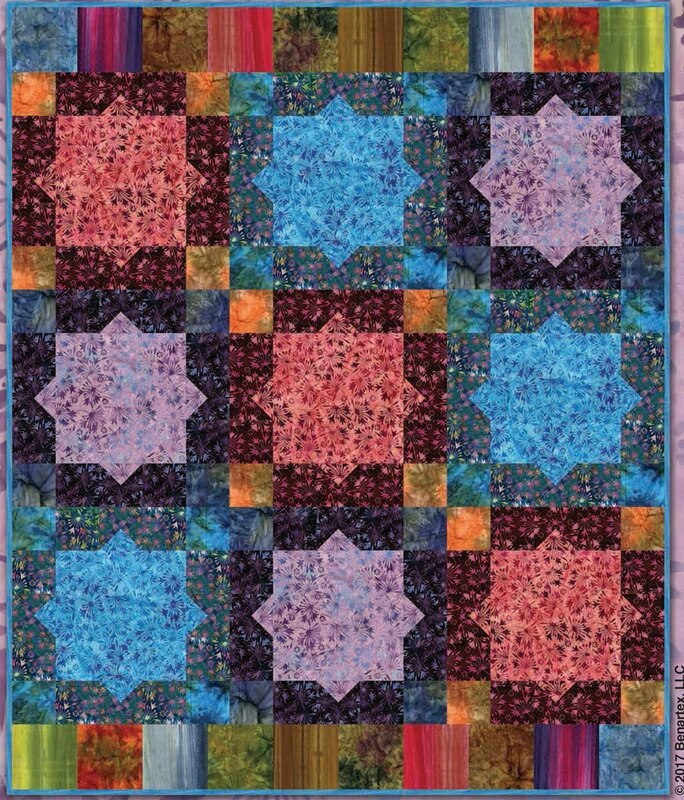 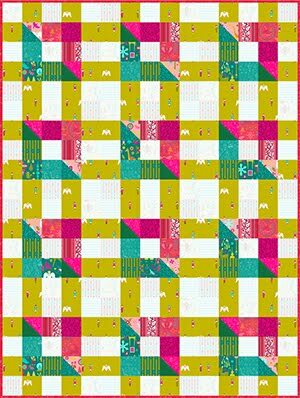 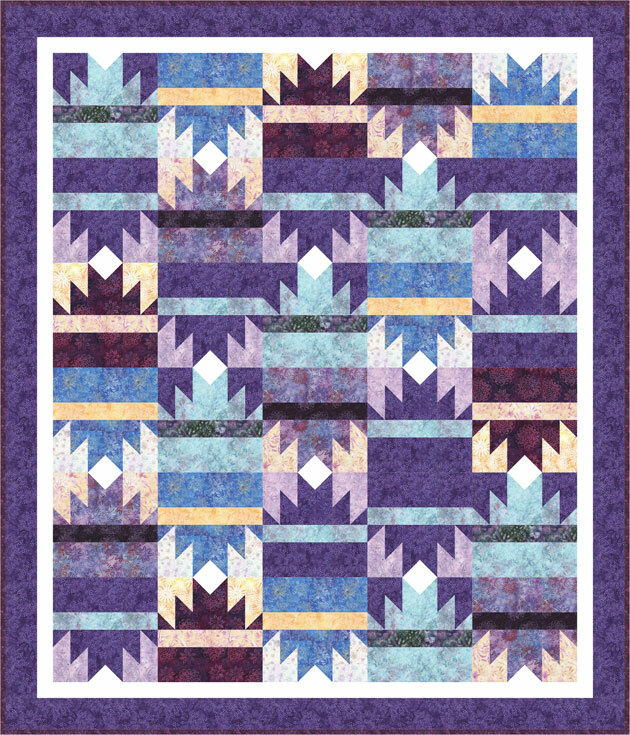 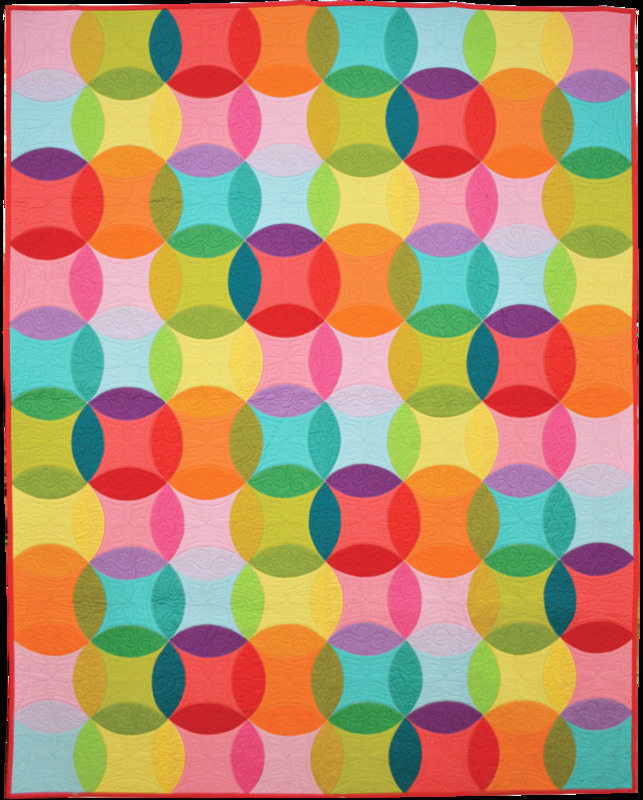 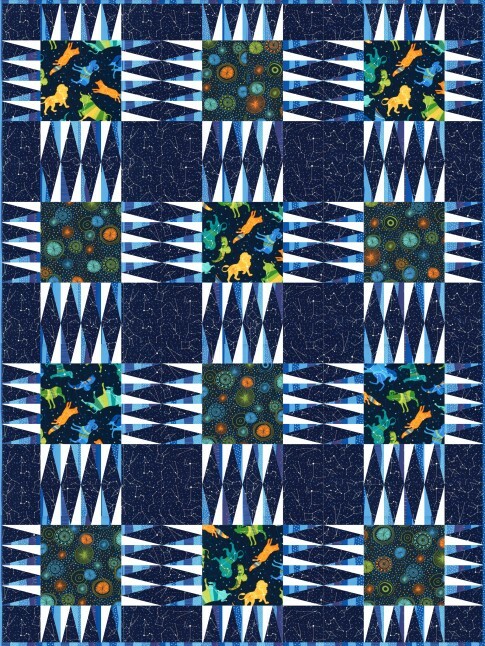 One of Dawn's ingenious tessellation quilts is Kitty Memories, published by McCalls Quilting. 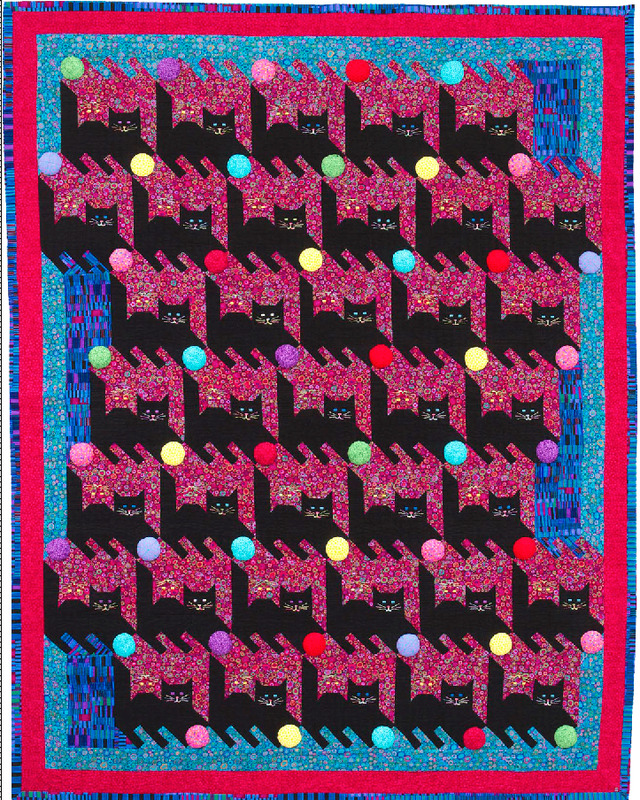 If Kitty Memories is turned upside down, the dark cats appear, and if you click to enlarge the above image you can see the embellishments, which include dimensional cat collars and tags. 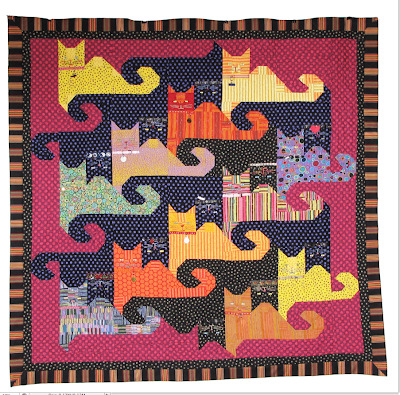 The McCall's web bonus includes photos of additional cat faces and a line drawing of the assembled quilt. 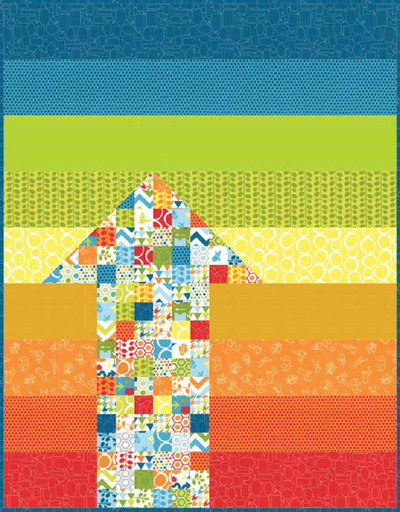 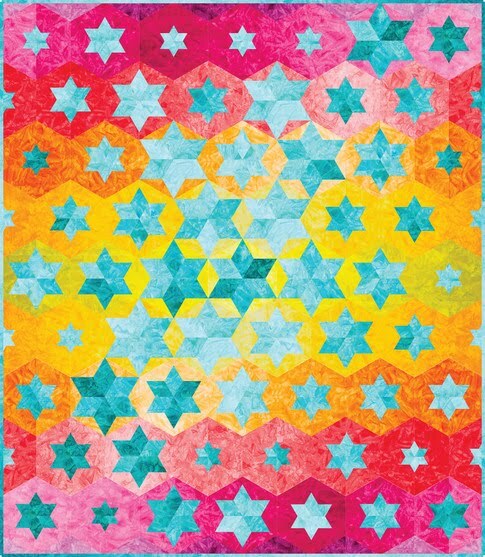 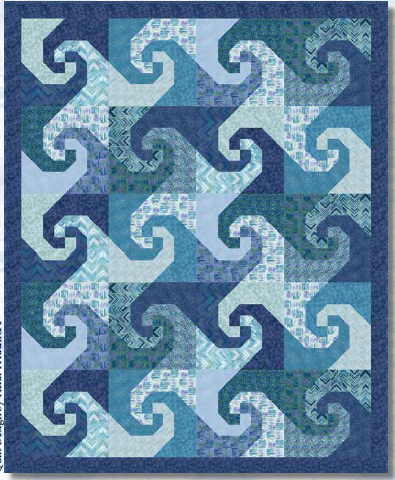 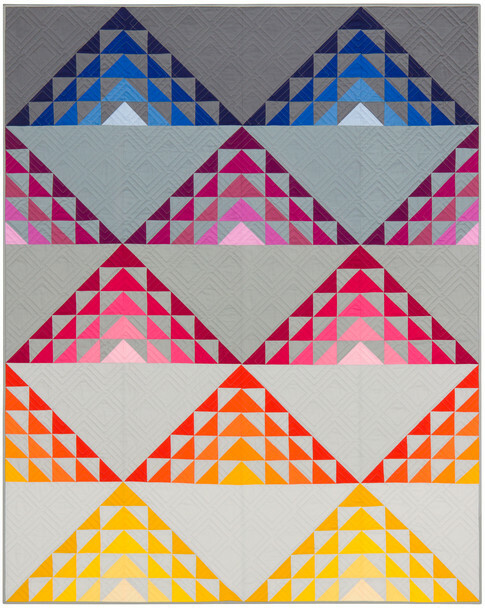 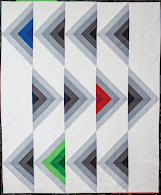 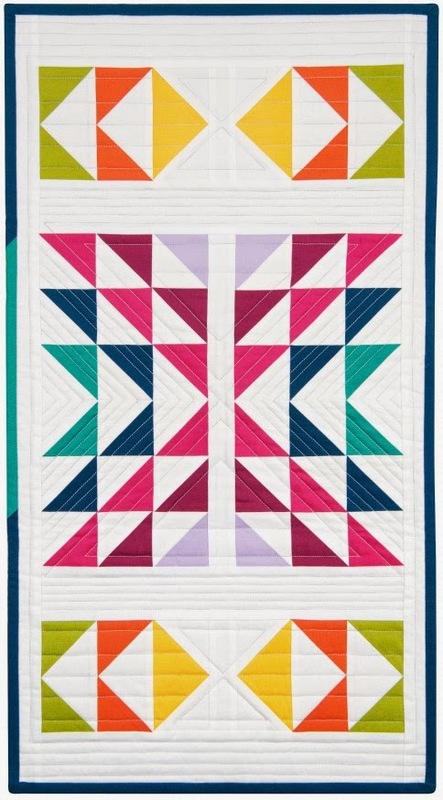 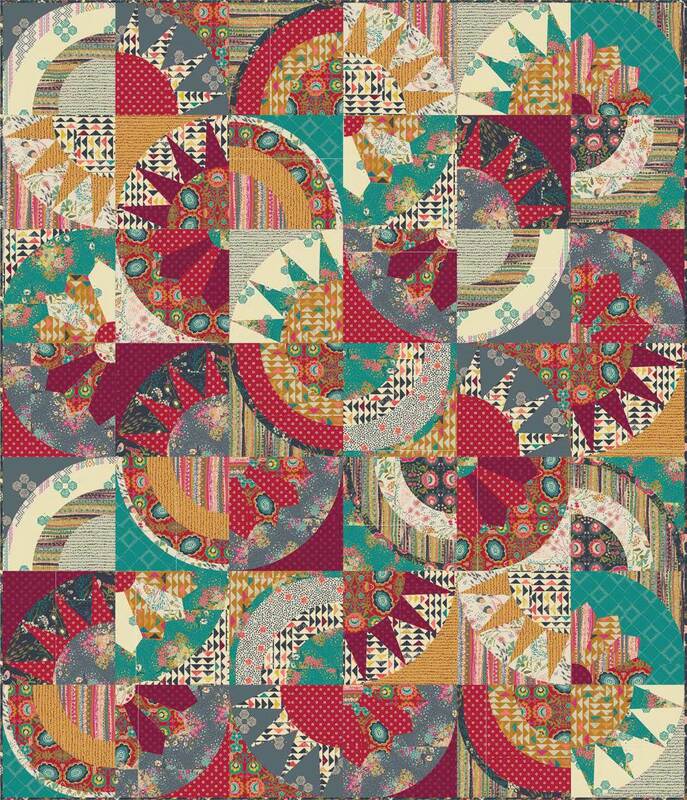 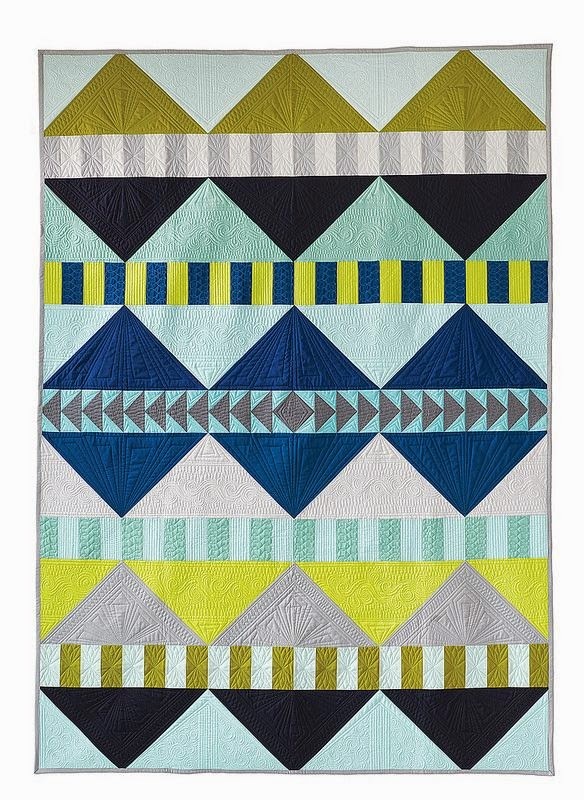 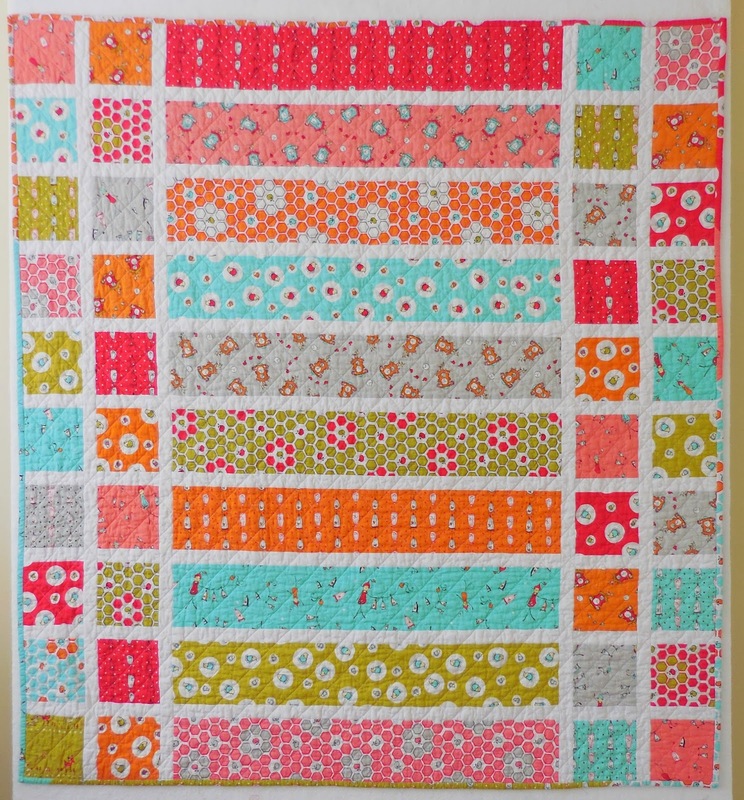 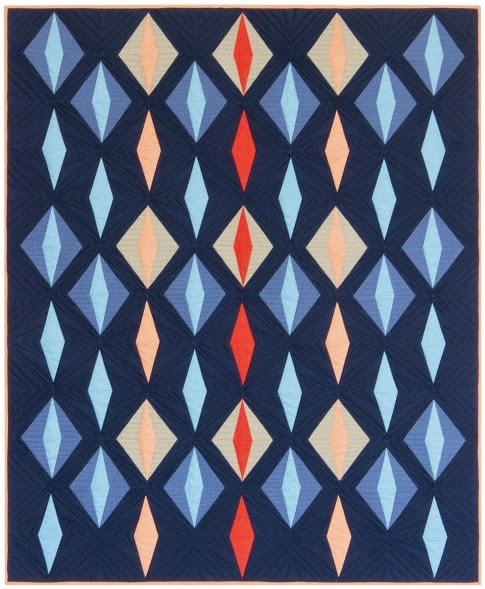 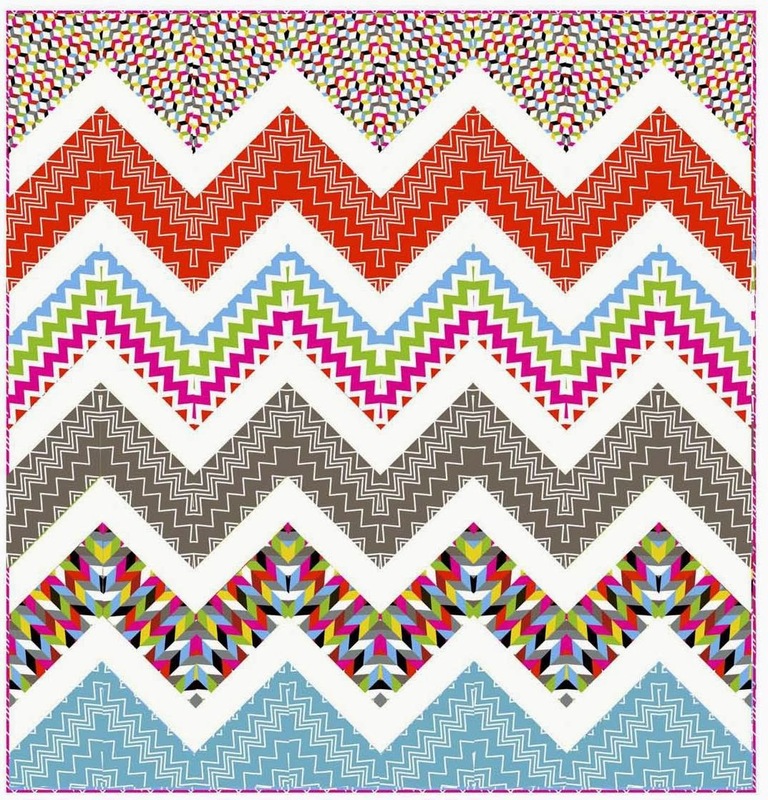 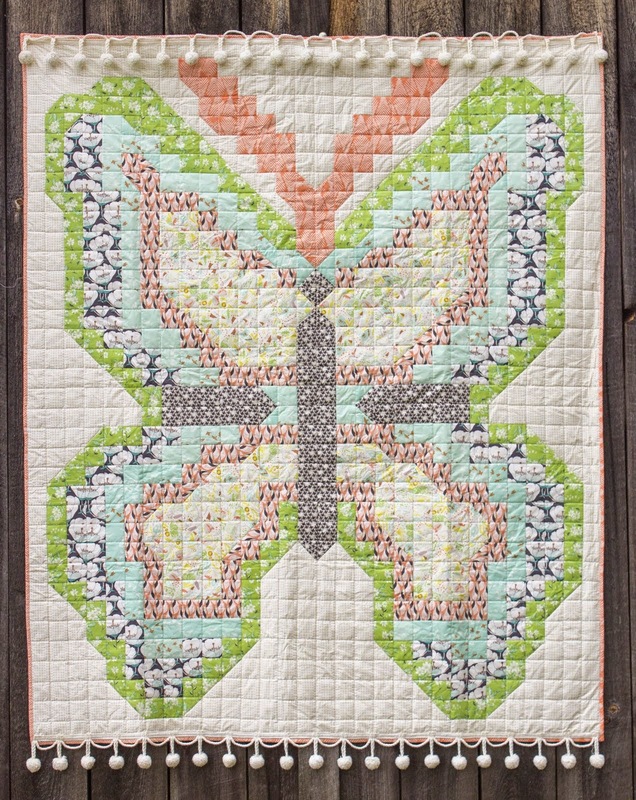 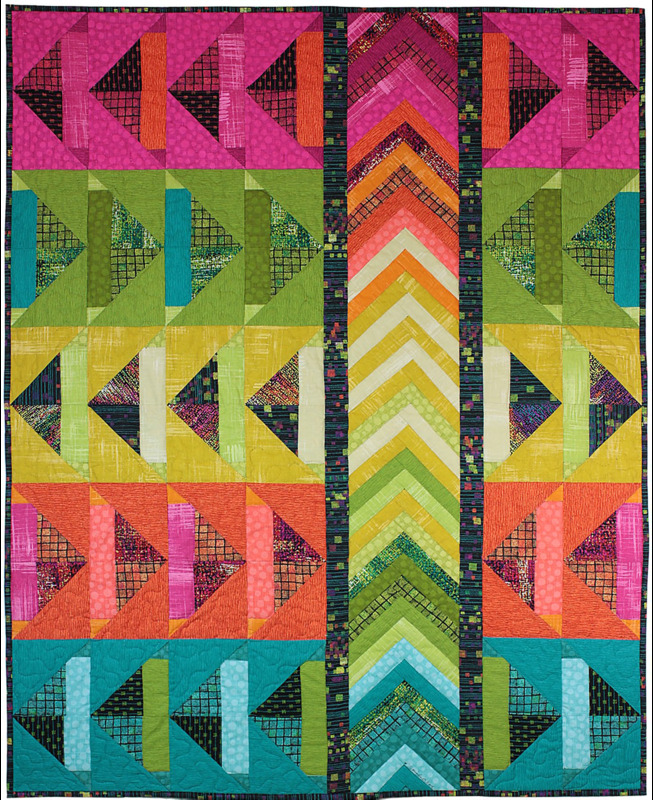 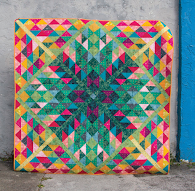 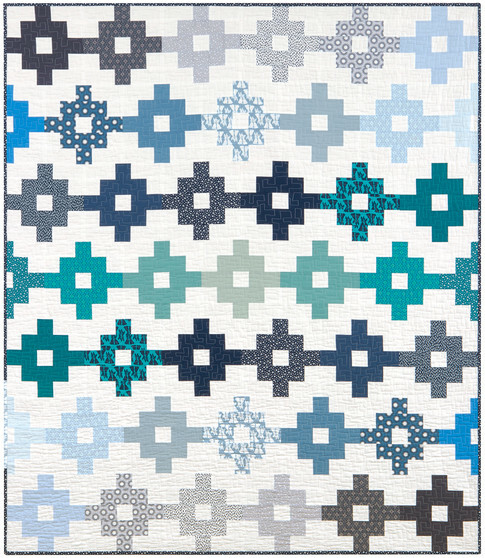 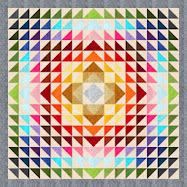 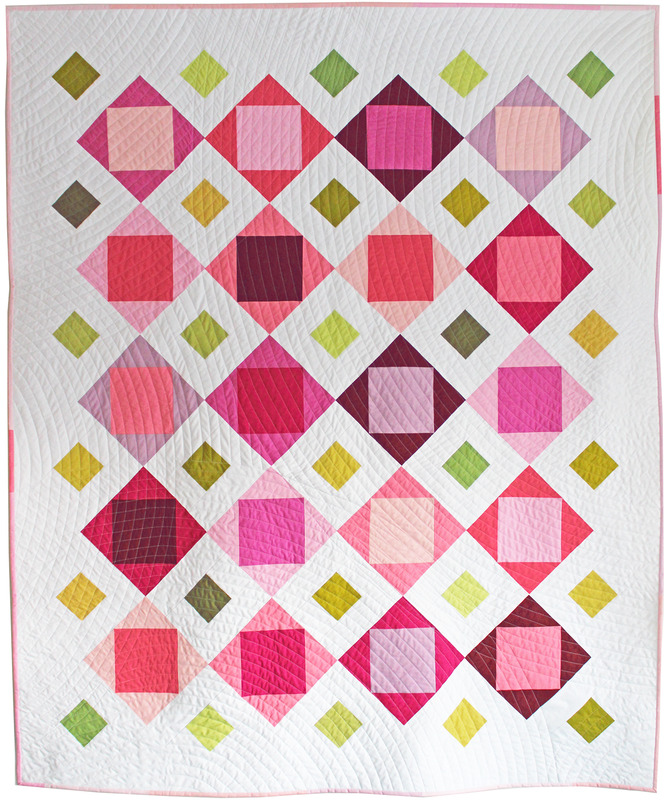 Finally, we're so pleased to be able to show you the ultra-cool quilt that graces the cover of Copy Cat Quilts. 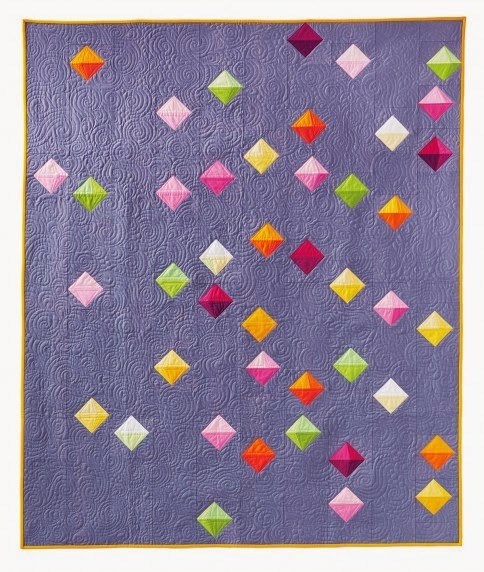 First published in the 1980's, this award-winning pattern has been updated with contemporary quilting techniques... it is a perennial favorite, and a definite Best of Cat Quilt ! 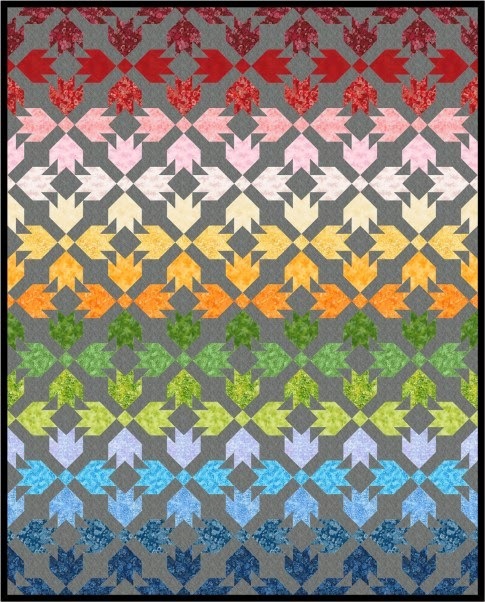 Image credits and additional links: Images are shown with the generous permission of the artists. Stairway to Cat Heaven: Fabric requirements and applique templates are available at McCalls Quilting, and the complete pattern can be purchased from the Quilt and Sew Shop. Feline-friendly blogs: SewCalGal has just wrapped up her Pets On Quilts Show, with some wonderful photos of real pets on real quilts ! 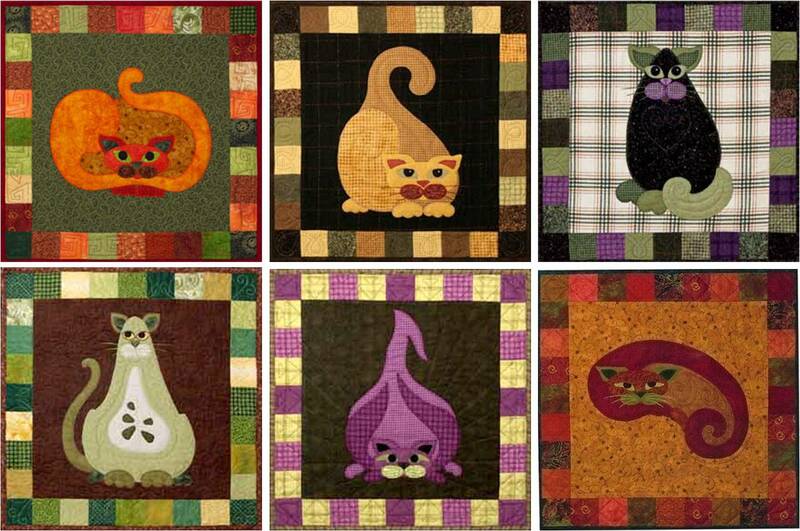 Also check out these blogs: Felines and Fibre Arts, Cats and Quilts, Cats On My Quilts, Cats Who Quilt, and Quilt Tales and Cat Tails. 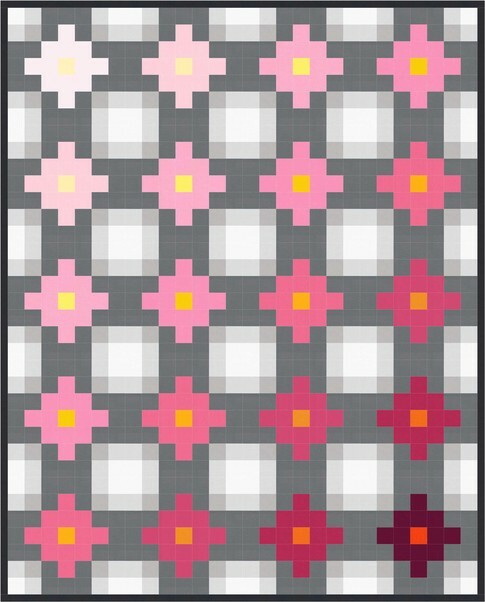 Your post is absolutely smashing. 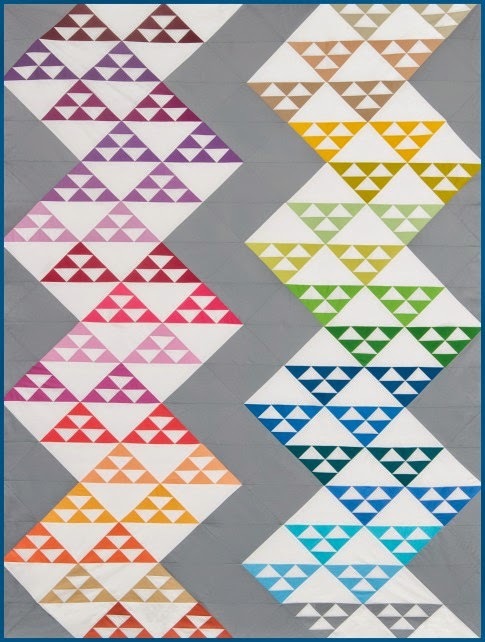 So much research, so much time to make the series perfect. 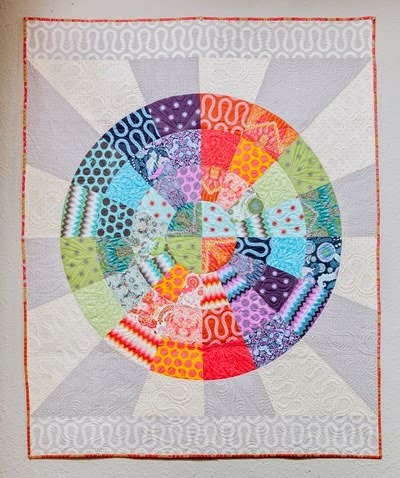 My mouth is watering over all these beauties you've found and shared with us. 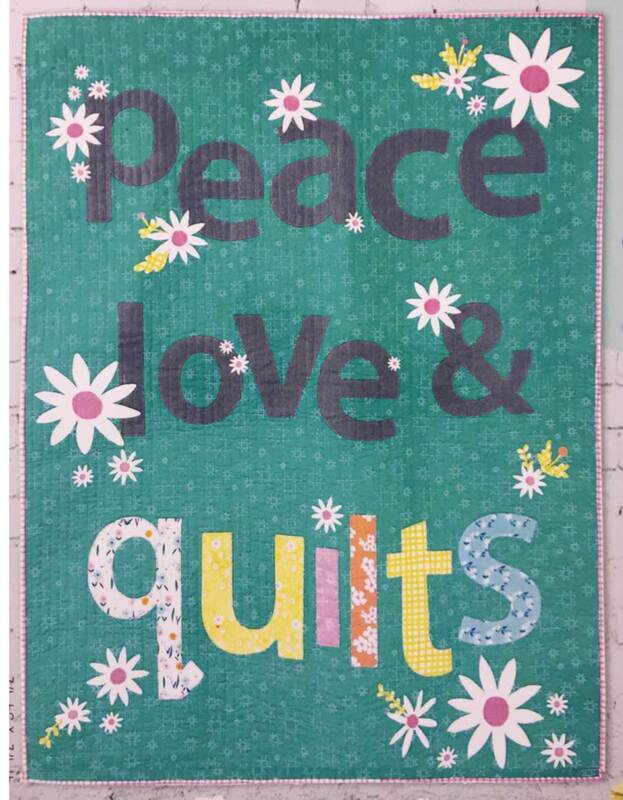 This is why I quilt! 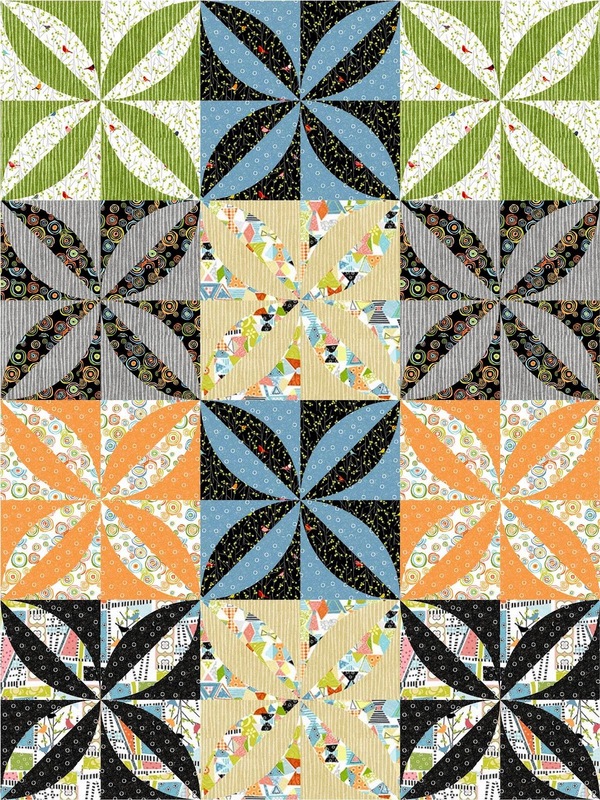 Marty, thanks for your comments... your Sawtooth Cats quilt is beautiful. 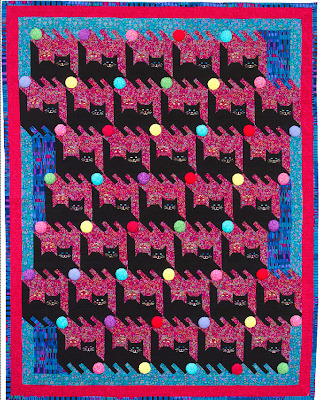 I'm not sure how we missed it, since it's right below Kitty Cat Charm in your gallery. 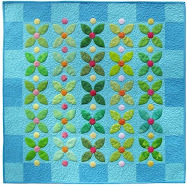 For readers, the direct link to Marty's gallery is http://www.martysfibermusings.com/quiltgallery.html . 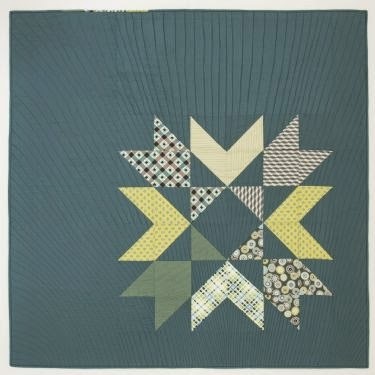 Some lovely quilts there, I have now found a photo of my cat Cody, which I plan to work up into a quilt, one day.. in the meantime I quite fancy the Sawtooth Cats, foundation pieced which is right up my alley. 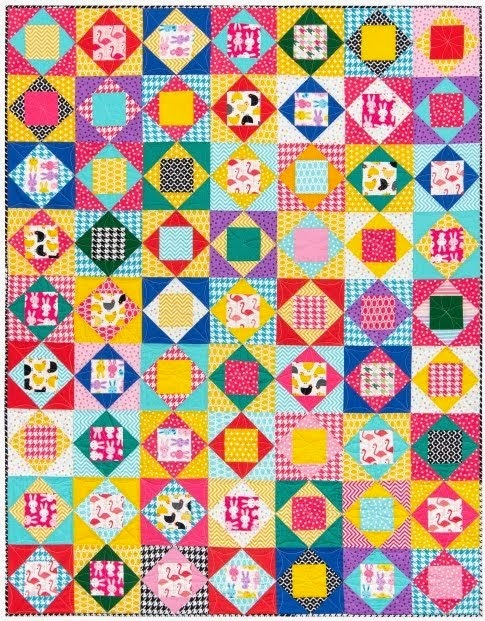 Now I'm off to check out some of those blogs, Cats who quilt sounds very intriguing. 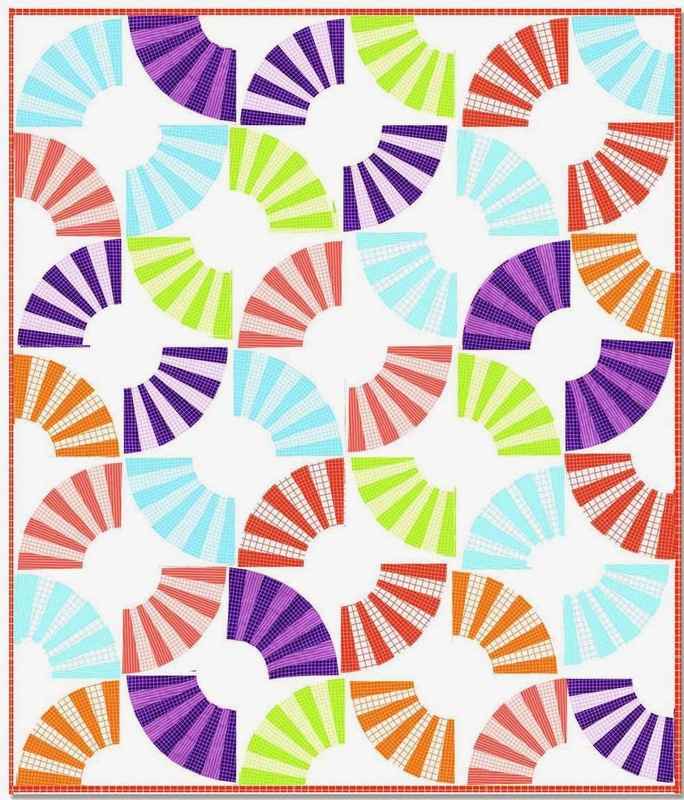 Is there a pattern for stairway to cast heaven?